This is couples’ treatment and training that will inspire you to meet your traumatized couples with new confidence. You will find confirmation in this 3-DVD set that couples’ treatment can generate quantum shifts in earned secure attachment. You will learn how to apply these methods to the ways you already work as a therapist with couples and individuals. 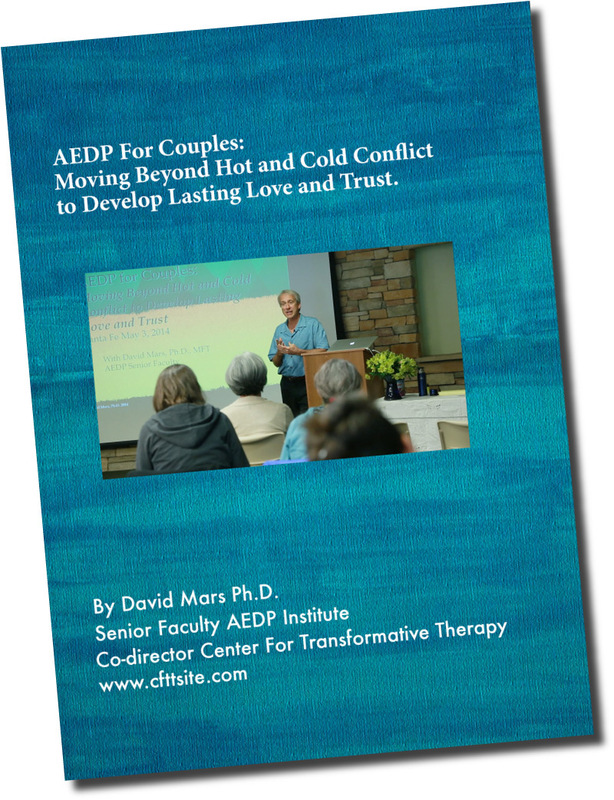 From this 3-DVD set, you will absorb the theory and practice of the AEDP for Couples in a lively exchange with an audience of seventy therapists. You will witness a familiar theme: a couple who alternates between hot and cold conflict. In their first session on DVD One, they show signs of the numbing distance between them. You will see, hear and feel them struggle productively at the brink of separation in Disc 2. You will see and hear the break-through of the denial and dissociation of the more avoidant couple member Disc 3. In multiple healing portrayals you will witness the at-times intense challenging of both partners to wake each other up to the opportunities to heal with each other moment to moment. CE for Social Workers, MFTs and Psychologists are available nationally with the exception of CE for Social Workers in CT, NJ and MN. After you’ve viewed the DVDs click here to pay for CE’s and take the online test. (This information on how to apply for CE’s is also included with the DVD set.